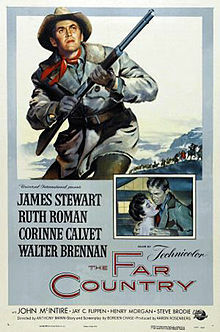 Jimmy Stewart: The Far Country – Did You See That One? Jeff Webster (Stewart) is looking for a new start in Alaska. When he brings his cattle to the new settlement of Skagway, he runs afoul of the crooked local judge, Gannon (McIntire). Now he’s leading a fight to stop Gannon from gaining control of the new settlements of Alaska. 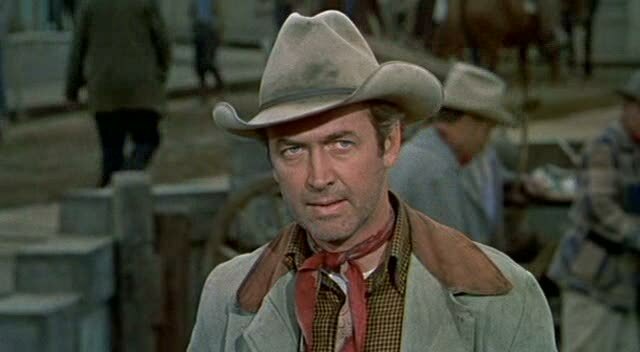 Jimmy Stewart and Anthony Mann collaborated on films of many genres. Perhaps their best work came in the world of Westerns. This film would be the fourth Western that Mann and Stewart made together, following on the heels of their film The Glenn Miller Story. Like Mann’s other Westerns, this film features a darker story that works on the theme of redemption. Borden Chase, who wrote Winchester ’73, also penned this script. This story works because of the edgier sensibility that Anthony Mann brought to his films. The clean-cut hero of the earlier Westerns is replaced with the flawed character of Jeff Webster. Webster isn’t the hero heading towards danger as much as he’s running from his past. Webster is a character who evolves nicely throughout the film. The other characters in the film are an interesting bunch of unique personalities. The dialogue written for the film does a nice job bringing out the darker tone of the film. The story also features some great action sequences, and a wonderful payoff. This film is a bit more formulaic than some of the more successful Westerns that Mann would make, but it works nicely. Jimmy Stewart does a great job bringing out the darker nature of his character. He allows for his performance to evolve throughout the film, showing the emotional depth of the role. 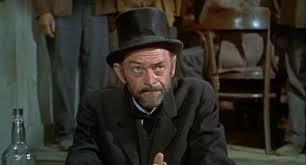 His performance is paired up with good acting from John McIntire. Like Stewart, McIntire had previously worked with Mann on Winchester ’73. His performance in this movie works to bring a very dangerous and dark villain to life. Opposite the conflicted hero, McIntire does a nice job magnifying the flaws and emotions of his character. The result is a nice balance between the two characters that creates some of the great tension in the film. Walter Brennan (Red River), Harry Morgan (High Noon), and Ruth Roman also add nice performances to this one. 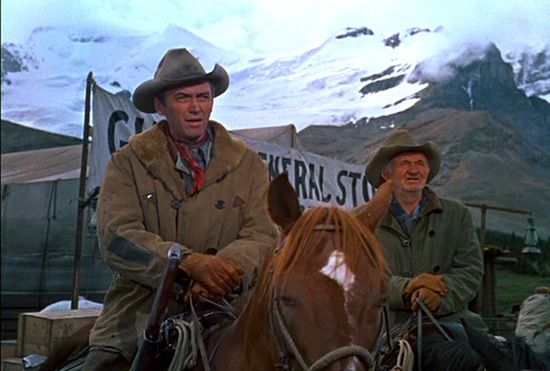 The Technicolor images in this movie create a real impression of untamed land in Alaska. The film may not have broken any new ground, but all the right pieces are in place. The 1950s were a great decade for Stewart, who would make more than 20 films. In 1955 he would reconnect with Anthony Mann for the war movie Strategic Air Command. Meanwhile Jimmy Stewart would begin to work on establishing another great partnership. 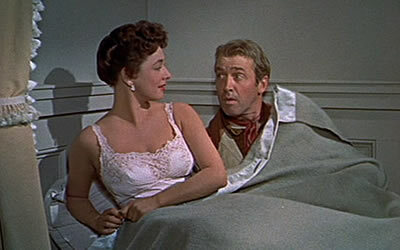 Stewart’s next performance would be in Alfred Hitchcock’s Rear Window, their first film together.